On the subject of bullying: when Columbine happened, I think it was a bit of a slap in the face for parents and educators, who up until that point had been somewhat unaware of the extent of the social pecking order in schools. Not the students — kids have always known how difficult it can be to be perceived as “different” in any way from their peers. I myself had the experience of being picked on in grade school. It wasn’t too bad — I had recently moved back to Canada from Africa and some of the boys in my class would taunt me with the epithet “Jungle Woman” as I walked past. The girls were crueler (as they always are), a group of them refusing to play with me at recess because I might have “jungle cooties”. It seems ridiculous now, just silly things that children say to assert their dominance over one another, but at the time it really stung. I was always a shy kid who struggled with coming out of my shell enough to make friends, and this certainly didn’t help. The thing that strikes me as funny is that even writing about the experience now, over 25 years later, I still feel vaguely ashamed, like there must have been something wrong with me beyond having had the random experience of moving away to another country (thus marking me as “different”). It’s this feeling of shame, when taken to its extreme, that leads to self-hatred, then hatred for others, and then a desire to lash out against one’s persecutors. Luckily for me it never went that far — the taunts were dropped within a few months (no doubt after some new kid to pick on moved to our school). But after that I always felt slightly uneasy in social settings, with the vaguely unsettled feeling that I didn’t belong and maybe never would. As the years went by I learned to push those feelings aside and cover them up, but they never vanished completely and I have spent most of my life feeling trepidation in new social settings, wary of the sting of rejection. Once bitten twice shy. So what am I trying to say here? Be nice, people! Now that we’re adults, I think (hope) we’ve all grown out of being judgmental assholes, but you never know. Take a look at yourself, and if you can see any room for improvement in this area, do it! We will always meet people who we feel are “different” from how we perceive ourselves — but that’s no reason to pick on them or make them feel small. Embrace your differences, brothers and sisters. There’s so much to learn from one another. Anyway, what made me think of all this? 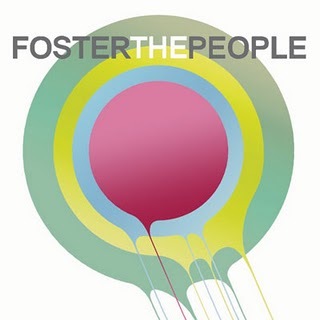 A song that I heard recently, a super catchy little ditty called ‘Pumped Up Kicks’ by Foster the People. If you like MGMT and Phoenix then you will probably like this band, and this particular song was written about bullying and gun violence amongst youth, still as much of a problem today as it was 12 years ago. I’m glad that people are still focusing on this problem, because honestly if bullying is allowed to run unchecked then we’ll just have more situations like Columbine (and similar school shootings) on our hands. Anyway, I’ve always had a soft spot for upbeat, danceable tunes with depressing/dark lyrics, so this one is right up my alley. Check out the video below, and you can also catch Foster the People performing on Saturday Night Live this weekend. This entry was posted on Thursday, October 6th, 2011 at 12:31 pm	and posted in Song of the Day. You can follow any responses to this entry through the RSS 2.0 feed. I guess it’s for fear of reprisal on some level? I’ve seen this first hand on the subway. Don’t bully, become the Bull!